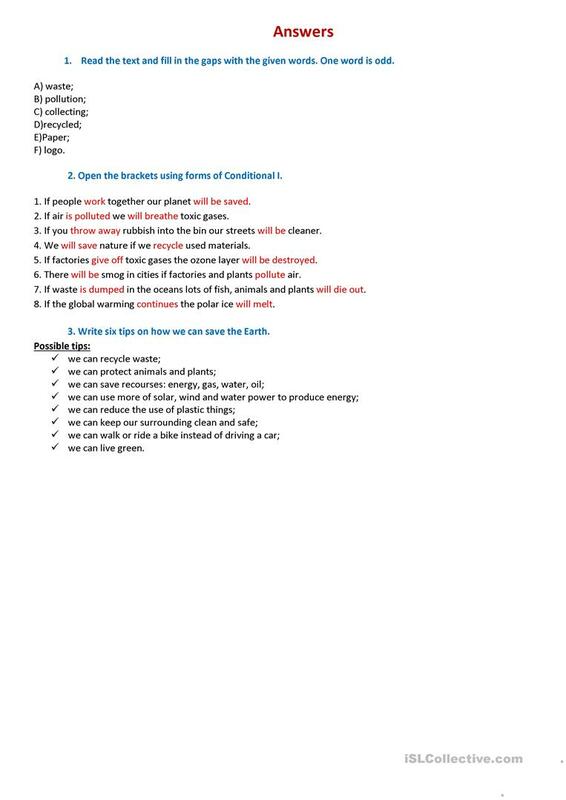 This worksheet contains three exercises on the topics "Ecology", "Nature and Environment". The tasks are aimed at practising and checking students' vocabulary, reading, grammar (Conditional I) and writing skills. 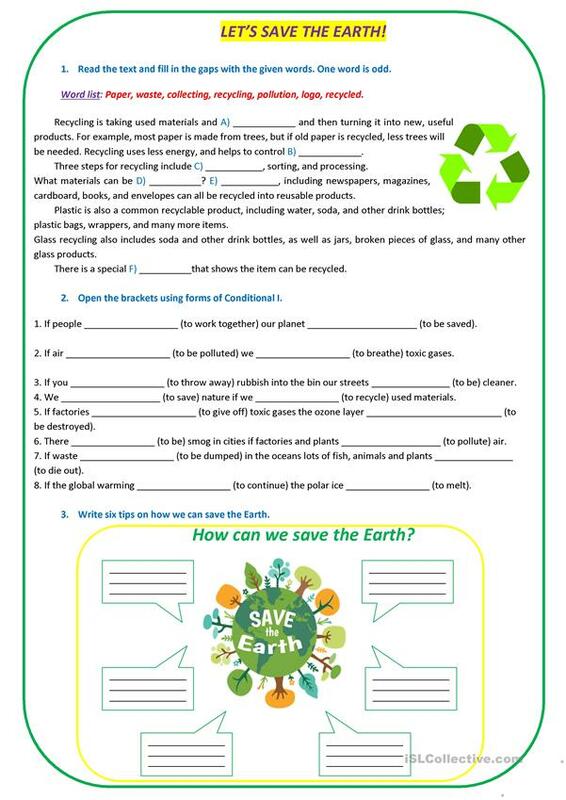 The above downloadable worksheet is meant for high school students, elementary school students and adults at Pre-intermediate (A2) and Intermediate (B1) level. It is valuable for revising Conditional 1 (first conditional) in English, and is a valuable material for improving your class' Writing skills. It features the theme of Environment. The exercises come with the solutions. ivirene is from/lives in Ukraine and has been a member of iSLCollective since 2018-05-09 13:54:26. ivirene last logged in on 2019-04-20 18:12:19, and has shared 27 resources on iSLCollective so far.